Doric Marketing chief Dorian Davies is urging hot tub and swim spa dealers to turn up the heat on their marketing provision for existing and prospective customers to combat any negative consumer reaction to price increases. One of the key elements of Dorian’s marketing advice is to outline ‘Goal Setting’ before taking the plunge in any marketing campaign or promotional activities. He also provides strategies on ‘How to put a marketing strategy together’; ‘Identifying target consumers’; as well as outlining ‘Different ways to reach target consumers’; and ‘Integrating different types of reach’ as part of his seminars and consultations with clients. In recent years Dorian, pictured, has been helping dealers to incorporate cutting-edge software to positively enhance their marketing campaigns. He also has proven strategies for measuring results and providing rapid communication responses by utilising the technology to gain an advantage in the market. This year the wet leisure marketing guru has appeared at SPATEX and the Hot Tub Living Expo to outline the process of compiling a marketing strategy and why it is important to have one; as part of the seminar and training schedules for the trade audience at the two UK wet leisure exhibitions. 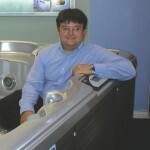 One of the main topics of conversation for trade visitors at the Hot Tub Living Expo was increased prices that have been announced by hot tub and swim spa manufacturers as a result of unfavourable exchange rates following the BREXIT vote and how to incorporate them in British showrooms. Dorian believes retailers can take marketing action to help to limit any impact of a price hike to future profitability. Organisers of the newly renamed Hot Tub Living Expo, spawned from the former UK Pool & Spa Expo, had invited industry experts to take part in the exhibition’s free seminar schedule at the Birmingham NEC and Dorian utilised the platform in Hall 11 to promote his marketing strategies to the trade visitors as part of a seminar on ‘How to put a marketing strategy together, and why have one’. “Having a strategic marketing plan in place is important,” said Dorian. “It helps to focus on your goals and to identify target consumers as part of a dedicated strategy. 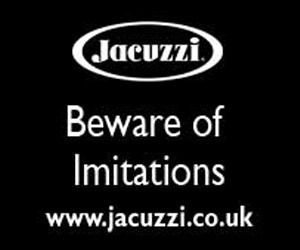 To avoid missing out on the opportunity to be an exhibiting company at SPATEX 2017, running from January 31 to February 2 in the Ericsson Exhibition Hall of the Ricoh Arena in Coventry, it is advisable to make stand bookings now before the ‘sold out’ signs are posted up by the organisers. The SPATEX team can be contacted via email: helen@spatex.co.uk or michele@spatex.co.uk or by telephone directly on: +44 (0) 1264 358558.